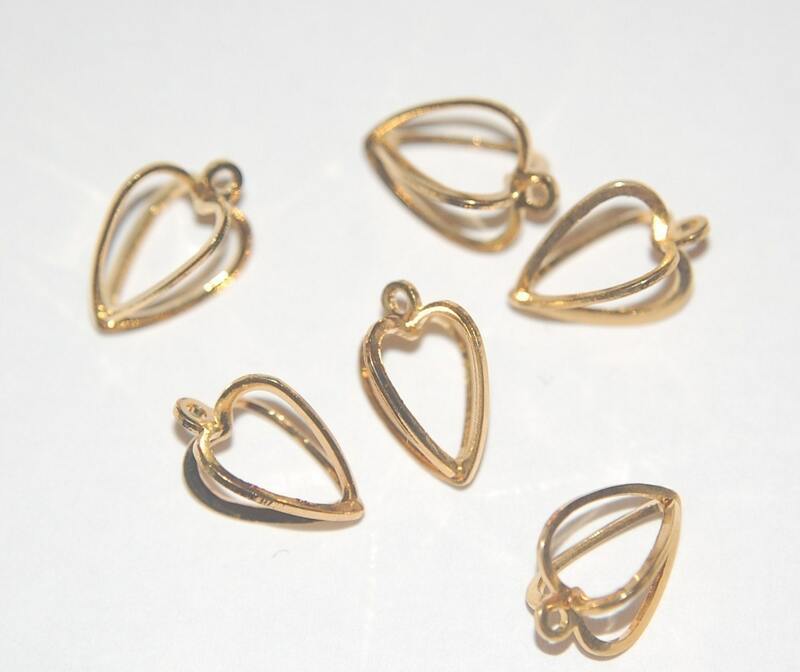 These are great gold plated bead cages. 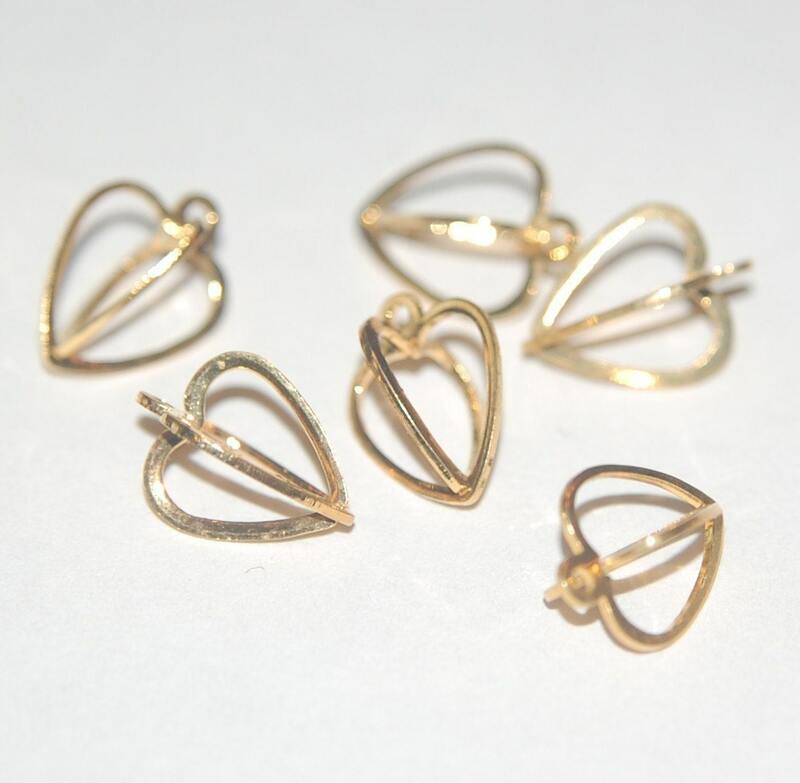 They are shaped like a heart and have a loop at the top for attaching to your creations. These measure 15mm long with the loop x 8mm wide. You will receive 6 of these. Wonderful, wonderful, wonderful. These are perfect, The packaging was perfect. very nice! perfect for my creations :) thanks!